Tagaytay City. 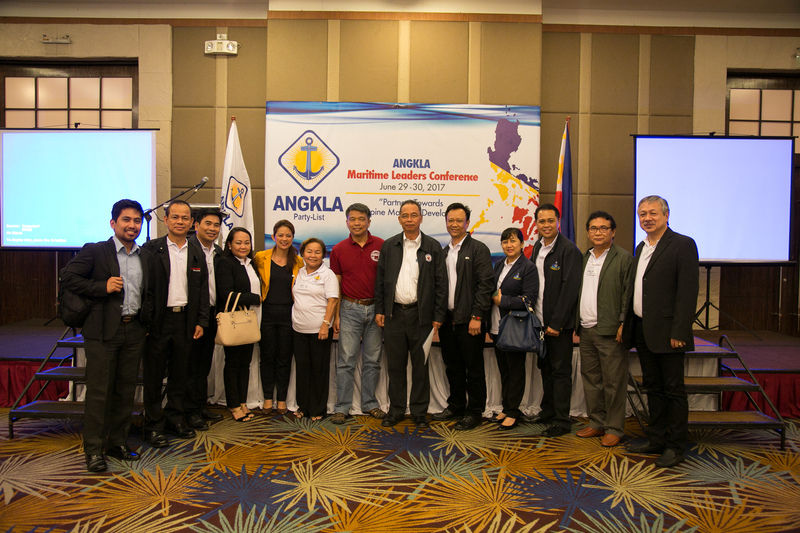 – ANGKLA Party-List hosted a one day Maritime Leaders Conference on 30 June 2017 at the Summit Ridge Hotel, Tagaytay City. The conference was themed “Partners Towards Philippine Maritime Development”. 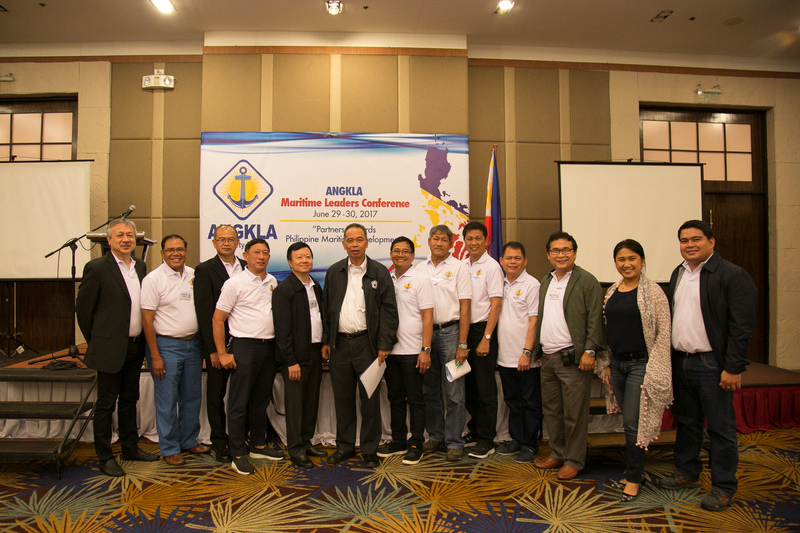 The forum began with ANGKLA’s presentation of its legislative accomplishments, programs, and impending plans for the shipping sector for the 17th congress through a four minute AVP. Undersecretary Felipe Judan of the Maritime Cluster of Department of transportation delivered his keynote speech. He recognized the efforts and achievements of ANGKLA Party-list trough the hardwork of its representative Jesulito Manalo in Congress. 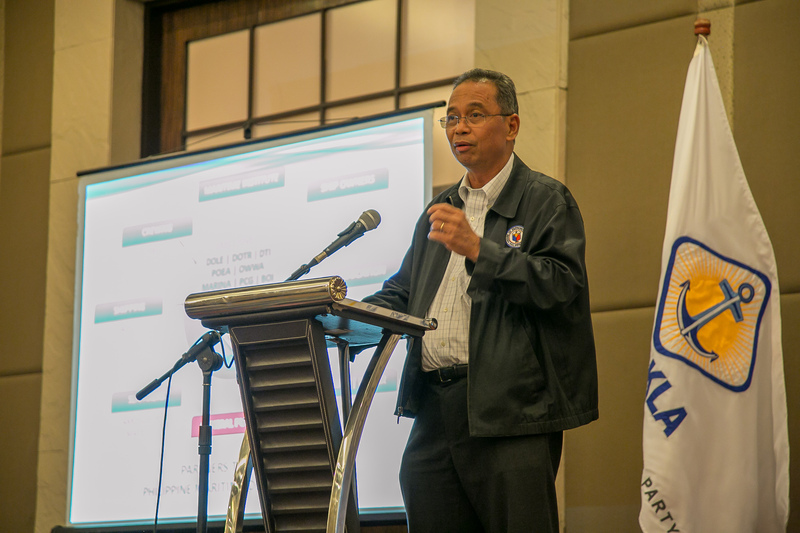 The DOTr Undersecretary also laid out the department’s plans for the shipping industry particularly on pressing issues on shipbuilding, maritime safety, and protection of Filipino seafarers employed locally and overseas. Finally, he made his serious commitment to continue implementing government policies to help the Philippine maritime industry. The forum consisted of talks on atleast three significant maritime issues – shipbuilding and ship repair, manning and crewing, and the importance of establishing a maritime policy institute. On the issue of shipbuilding and ship repair, Engr. Sammuel Lim of the Society of Naval Architects and Marine Engineers (SONAME) gave a presentation on the value on promoting standards for enhanced ship safety and the use of modern ship designs. He also emphasized the need to strengthen the industry for the naval architects, providing continuing training and learning programs to update skills and competencies so that our professionals comply with the appropriate standards necessary for shipbuilding. In response, the government through Undersecretary Ceferino Rodolfo of Department of Trade and Industry presented the department’s ideas and plans to utilize the shipbuilding sector towards the country’s development. He recognized the need to implement a mandatory retirement of old vessels as a means of ensuring full compliance with shipping safety standards. He also stressed the significance of implementing stringent rules on the importation of used vessels that can encourage a stronger demand for new vessels on succeeding years. He committed the department’s recognition to provide support for our shipbuilders and ship repair companies through logistics and tax incentives. For the second issue tackled in the conference, Mr. Gerardo Borromeo of the International Chamber of Shipping and Philippine Transmarine Carriers discussed specific issues concerning the manning and crewing sector of the industry. He focused on the importance of building better competency and capabilities of the seafarers. He also pointed out valuable recommendations to ensure that our global maritime professionals sustain their position as the premier seafarers of choice in the global market. To this end, he emphasized the need to continuously build awareness and interest as well as promote the developments and design and operation of new ships . As a way of moving forward to the future of maritime, he highlighted the constant necessity to align our seafarers education and training programs to these new designs and technology, along with government’s parallel modification of existing programs and regulations for the development of the maritime industry. The government represented by the Department of labor Employment through Assistant Secretary Joji Aragon, and two of its attached agencies – Overseas Workers Welfare Administration through Director Albert Valenciano and Philippine overseas Employment Administration represented by Atty. John Bautista sat as a panel and presented their respective messages for the maritime industry. The panelists all emphasized the importance of cooperation, coordination and consolidation to better achieve the developmental plans and vision for the maritime community particularly the continued employability of our Filipino seafarers. They likewise discussed the policies imposed by government which provide effective and sufficient reintegration programs for retiring Filipino seafarers. The last speaker in the conference was Prof. Jay Batongbacal of the University of the Philippine Institute of Maritime Affairs and the Laws of the Sea who gave a talk on the importance of having a maritime policy institute for the industry. As an archipelago, he stated that there are many marine resources that the country can utilize for its economic progress, and a policy institute which can help define the policies and mechanisms to achieve these essential. The creation of the policy institute can likewise aid Congress by providing policy research that will ensure enactment of relevant laws for the maritime sector. 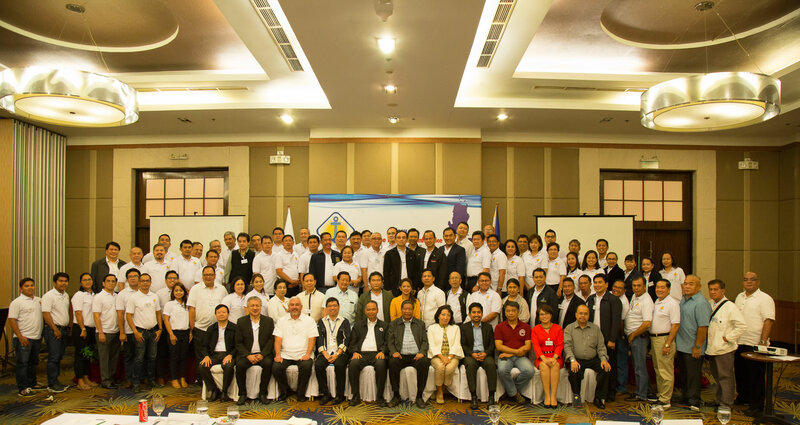 The well attended conference consisted of numerous members from private stakeholders of the seafaring industry, with representatives from JMG, FAME, FSA, PJMCC, PAMAS, INTERMAP, ISP, WIMAPHIL, SONAME, PRS, SHAP, AISL, PAMI, PAMTCI, PISA, PCGA, maritime press and other distinguished members of the maritime legal academe. Representatives of Maritime Industry Authority (MARINA) also joined the event. The talks provided in the forum led to meaningful discussions among the participants and served as a good avenue for better collaboration, formation of new ideas, and formulation of well-defined maritime plans. The conference ended with Cong. Jesulito Manalo’s message of gratitude to all the guests. He emphasized the real importance of the partnership that ANGKLA has forged since it served as the voice of the Philippine maritime industry. He made a holistic view of how ANGKLA has and continues to awaken the maritime sector to always be included in the maritime agenda of the government, focused at making it part of the political, economic and social consciousness of the country and its people, evidenced by the consolidated efforts of the legislative and executive departments enacting and implementing respectively relevant maritime laws and policies in response to the needs raised by the various members of the shipping sector. The conference is indeed a testament that with ANGKLA through Cong. Jess Manalo at the forefront of the maritime industry, it continues to navigate a stronger partnership with the executive and the sector towards the Philippine maritime development.